The Connect Global Team operates under the mandate found in Matthew 28:19, "Therefore go and make disciples of all nations ". Our purpose is To share the Good News of Jesus around the world and help others do the same. One of the ways we are accomplishing this is by partnering with Pastors and Church Planters around the world who do the work of making disciples in some of the farthest, and most unreached areas in the world. Connect Global exists to Share the Good News of Jesus and Help Others do the Same. We are called to share the good news, and Connect Global does this in very practical ways like building water wells, and maternity homes, as well as spiritually through preaching and teaching the message of Jesus Christ around the world. Part of this mission has led us to partner with local church leaders, pastors, and church planters in La Ceiba, Honduras. 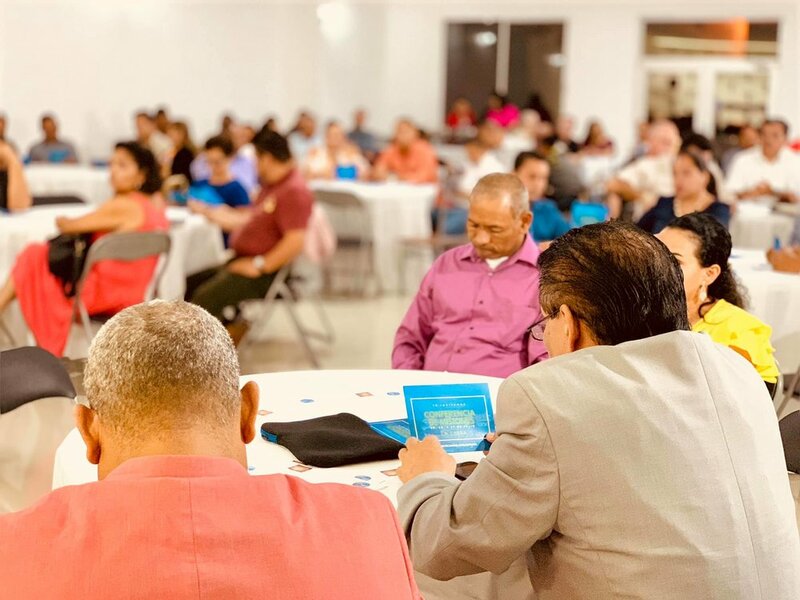 The Connect Global Team hosted a Pastor’s Appreciation dinner for over 70 leaders in La Ceiba, Honduras. As we enjoyed a time of fellowship the Connect Global team was able to continue to share the vision we have to launch a School of Missions here in this community. Throughout the past couple of years as we have seen this vision become more clear, the local pastors have been on our heart as they are the group who will make this vision a reality. Connect Global often has the opportunity to serve the community in practical ways. Mentoring and Sponsoring Students, Supporting Local Food Programs, and teaching Aquaponics are some of the ways we serve the community as we share the story of Jesus. Thank you to everyone who contributes and supports Connect Global — you are truly making an impact..
Will you help us Sponsor the next Mission Conference in La Ceiba? Share your stories, questions, & experiences by commenting below or email us at info@goservechange.com. Supporting local pastors and church planters in La ceiba, Honduras is a Part of the mission of Connect Global. Our Gathering with the Local Pastors of La Ceiba, helped us share the vision of the school of missions as well as invite these local pastors to be a part of the Mission Conference in July!